Plan your next meeting in Kissimmee and it is sure to be a shining success. Aside from beautiful weather year-round, Kissimmee is conveniently situated right in the middle of all of the Central Florida action. We also boast an impressive inventory of meeting facilities, unique venues, and world-class attractions and entertainment. Plus, it’s extremely easy to get here, whether flying or driving. When you begin planning your next meeting or event, look no further than Kissimmee, Florida. Meeting spaces for every kind of meeting. That’s the wonderful thing about Kissimmee. If your meeting needs to be uptown or downtown, Kissimmee has the facilities, the options, the variety, and the services to put it all together. Plus, that versatility means nearly 300 selectable meeting spaces that combine for a total of more than 1,000,000 square feet of meeting space for your use. 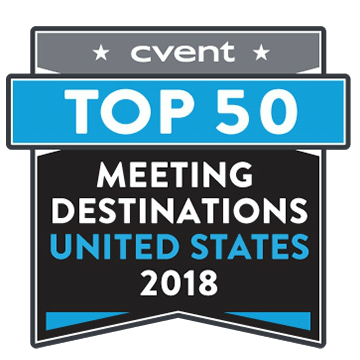 Between meetings, attendees can enjoy legendary attractions like Walt Disney World® Resort, Universal Orlando ResortTM, and SeaWorld® Parks & ResortsTM, extraordinary outdoor adventures, rounds of golf on championship courses, pampering treatments at luxurious spas, and much more. Whatever type of activity your group enjoys, Kissimmee has it. One of the best things about Kissimmee is our proximity to everything. We also enjoy easy access to Orlando International Airport, which is only a 20- to 30-minute drive to every meeting property in Kissimmee. Our wide variety of accommodations makes planning stress-free! From hotels and conference centers to the largest inventory of vacation rentals in the world, Kissimmee has the perfect place for you. Our top-notch services team will help you every step of the way, from planning to execution and follow ups. and save up to $10,000. What’s Your Perfect Vacation Itinerary? Looking for the perfect vacation itinerary? Take this simple quiz and we'll the details of your perfect Kissimmee getaway! Kissimmee can offer days packed full of every attraction under the sun — here you literally can't drive twenty feet without seeing something extraordinary up ahead! Kissimmee may be the gateway to Florida's most popular theme parks, but it's also a great location for travellers looking to enjoy the great outdoors. Whether you're into camping, boating, fishing, or just exploring, Kissimmee offers a variety of activities to keep you busy for your entire vacation. Our team can assist with all your planning needs. Stay up-to-date with Experience Kissimmee meetings. For planning tips and resources.